The Maoists were killed in a gunfight on Tuesday evening, in the forest of Muler village. 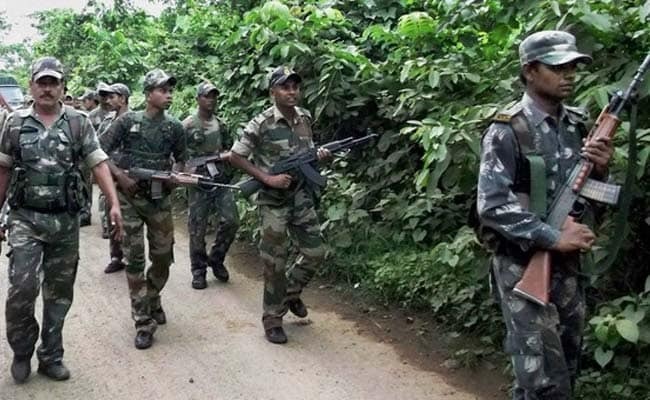 Three Maoists were gunned down in an encounter with security forces in a dense forest in Sukma district of Chhattisgarh, police said on Wednesday. Besides, one terrorist was arrested from the encounter site, located around 500 km from Raipur, they added. The gunfight took place Tuesday evening in the forest of Muler village, when a team of the District Reserve Guard (DRG) was out on an operation, Sukma Superintendent of Police Abhishek Meena told PTI over phone. Security forces had launched the operation after receiving specific inputs about presence of Maoists in the area, said. An exchange of fire ensued between the two sides when the patrolling team was descending from a hill, the police officer said. After the guns fell silent, bodies of three Maoists were recovered from the spot. One 315 bore rifle, four muzzle loading guns, one pipe bomb and commodities of daily use were also found, he said. The identity of those killed was yet to be ascertained since the patrolling team was still inside the forest, he said.